It's only September, and we're a whole season way from winter, but an Ohio neighborhood is already decorated for Christmas. Several homes in the Cincinnati suburb of Colerain Township have put up their Christmas lights and hung wreaths on their doors. 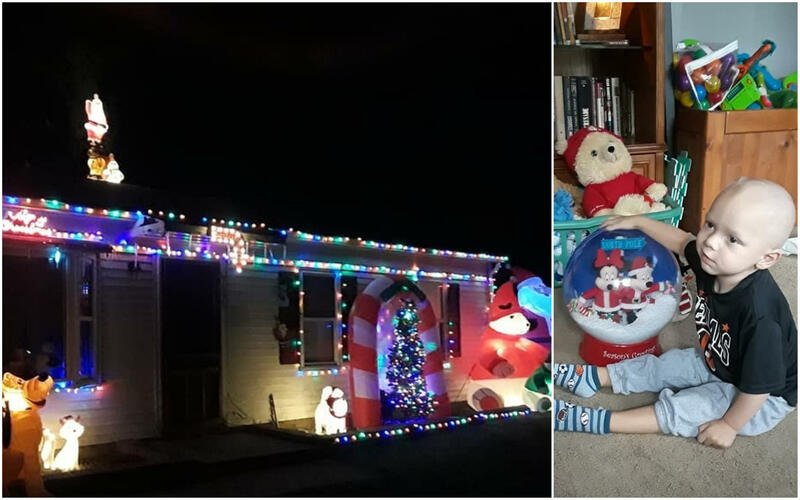 The premature Christmas celebration is an effort to bring holiday cheer to 2-year-old Brody Allen, who has a rare type of brain cancer and may have just weeks to live.